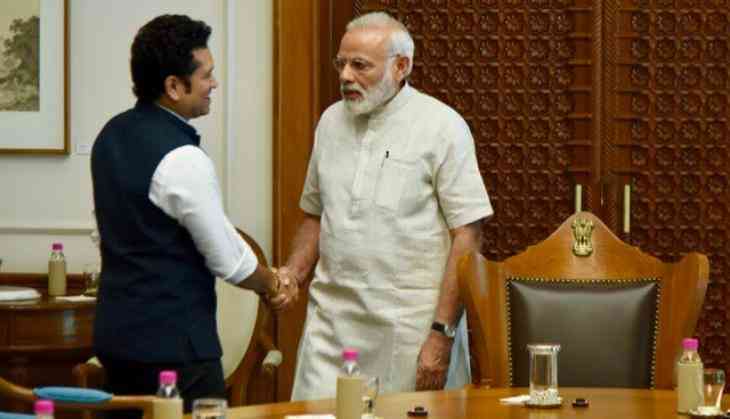 Legendary Indian cricketer Sachin Tendulkar on Friday met Prime Minister Narendra Modi where he briefed the latter about his upcoming biopic 'Sachin A Billion Dreams' and received his blessings. Tendulkar shared this information on his official Twitter handle. "Briefed our Hon'ble PM @narendramodi about the film #SachinABillionDreams & received his blessings," wrote the 44-year-old. Produced by Ravi Bhagchandka of 200 Not Out and Shrikant Bhasi of Carnival Motion Pictures, and helmed by Emmy-nominated James Erskine, ' Sachin: A Billion Dreams' is all set to release on May 26.